Start off your Christmas dinner with this delicious Pâté. 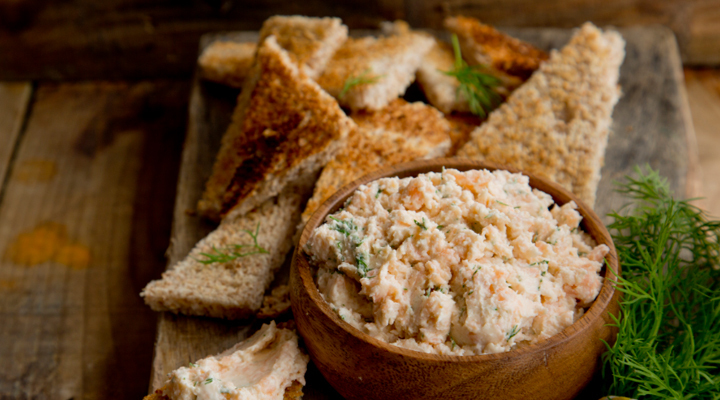 Place the smoked salmon, cream cheese and soft butter in a blender and whizz until smooth. Add the lemon juice, chopped dill and horseradish and blend for 30 seconds. Using a spatula, scrape the pâté into four individual ramekins, then chill in the fridge for 20 minutes. Serve with warm toast and mixed salad leaves. If you're watching your fat intake, use low-fat butter and low-fat cream cheese.